Where in the world will you find 427 different types of mammals, 1,294 birds, 2,200 fishes, 378 reptiles, 428 amphibians, and about 1 million insects? The Amazon Rainforest, of course! Get lost in the largest rainforest in the world to climb trees that are 500 years old, swim with a pink dolphin, avoid the deadly poison dart frogs, and sleep with a troop of twenty howler monkeys. 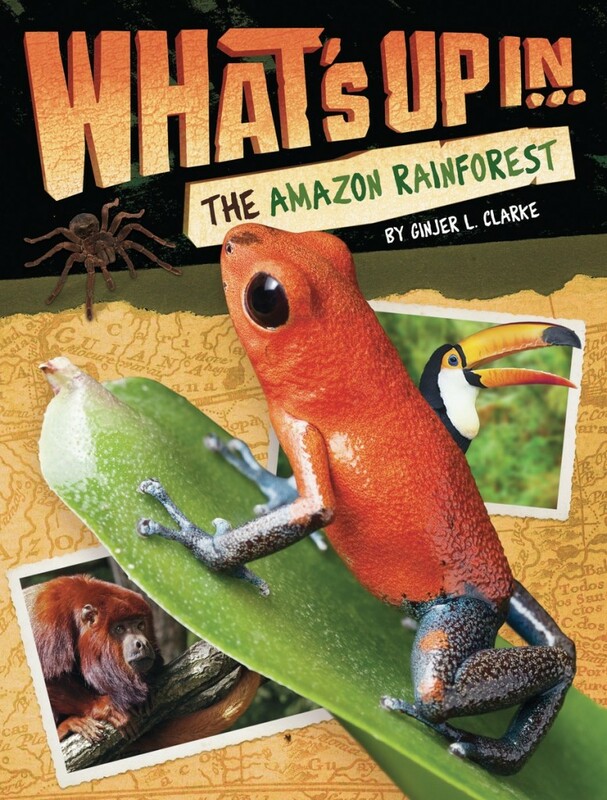 In What’s Up in the Amazon Rainforest, you’ll learn all about the plants and animals, as well as the people that live there and the habitat itself. Hi, Nicole. I really enjoyed visiting your school this week, and I’m so glad that you like my books. Thanks for writing to me, and happy reading to you!